This year, when essays and exams start to pile up, the Wilfrid Laurier University Rotaract has a good idea to help students relax — watching a movie in the pool. The WLU Rotaract is Laurier’s chapter of Rotaract, the community service club that is the post-secondary branch of the organization Rotary International. The club held an untraditional fundraiser this past Monday. Their Dive-In Movie Event, which took place in the Athletic Complex, offered an opportunity to float around in the pool and watch John Hughes’ Ferris Bueller’s Day Off. The movie was chosen by popular vote via a poll on their Facebook page. 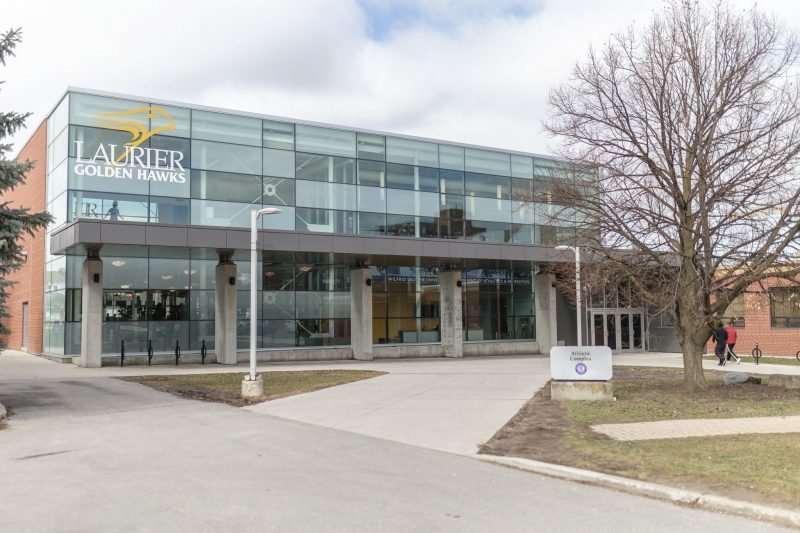 Which, at a time like this, how could Laurier students focus on studying for their exams? The event cost three dollars to attend, although bringing a friend meant getting a deal of five dollars for two tickets. “The proceeds will all be going to Rotary… and that is going to help out their clean water initiatives,” said Asad Raza, a third-year business administration student who is president of the club. With 35 people in attendance, the event raised almost $110, all of which will help people worldwide get access to clean water. All the costs of the event came out of the club’s budget. During the event, the AC provided floaties and attendees were encouraged to relax as the movie began. The film was set up to project on a screen beside the pool. Some people seemed to prefer the social aspect of the event to the movie and many attendees quickly abandoned watching it to swim around and talk with their friends. This extra noise made it difficult for those who were actively trying to pay attention to the movie to hear, at times. Overall, everyone seemed to have a good time, although many individuals left long before the film had finished. Now, it is yet to be determined if those who ditched did so because of dermatological reasons. Raza and other members of the WLU Rotaract were pleased with the turn out. He acknowledged that events like their cactus and succulent sales have helped them gain recognition on campus and is hoping that the Dive-In Movie and future events will do the same. Although the year is coming to a close, there is still a chance to get involved.